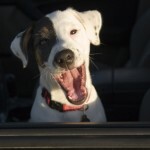 Home » All Posts » Behavior » Leash Reactive? And now you are forced into the awkward position of making excuses, apologizing, or giving warnings about your “aggressive” dog. You should know that there are excellent programs available to help you manage your reactive dog. The biggest challenge you may face with your reactive dog is other dog owners. When you haven’t lived with a reactive dog, you may not realize what it’s like. Always being on alert for what might be around the corner, or coming up from behind. Never quite able to relax. And even though it is rarely a reflection on you or your training skills, you feel responsible, embarrassed, even guilty. And of course others may pass judgement as well. 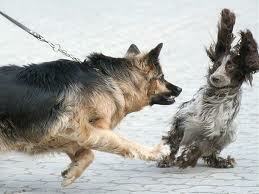 Feisty Fido Classes are now available at Woods University. Please check out website for further details.